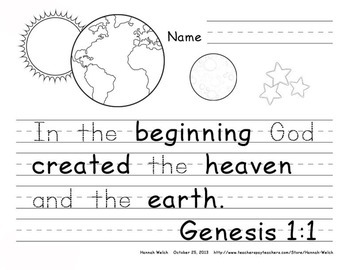 I made this sheet as the beginning of a Bible unit I'm hoping to make. 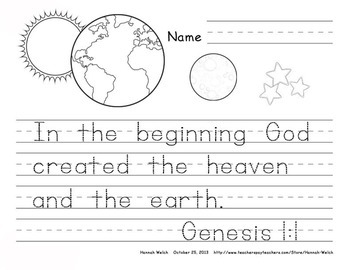 Providing I can find graphics, my goal is to work through the whole Bible. 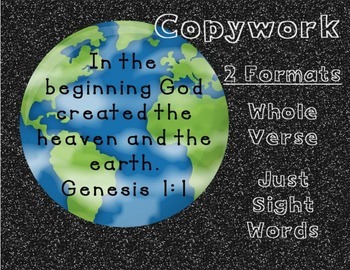 There are a great many whole verse copy pages, but I personally just wanted to focus on the sight words and key Bible words (God, Jesus, etc) in the verses. I've included both versions for those who would rather copy the whole verse. I hope you enjoy. If you have any requests, please feel free to let me know - slwhew@gmail.com.